Rental Property Depreciation - Rental properties generally produce four forms of income. We are going to dive right into the fourth form of income, specifically rental property depreicaiton.' The IRS allows residential rental properties to be depreciated over 27.5 years.' This depreciation does not include the land value and only the building or structures on the property.' This value is a tax deduction, lowing your total taxable income.' When starting depreciation, remember to use only the building or structure cost.' The IRS has specific requirements on how to access the building value.' We recommend using your local municipalities property tax appraisal if they breakout the land value and improvement values separately. As we all know, real estate generally appreciates, which is why the IRS requires investors to recapture the depreication'as ordinary income'when the property is sold. There are three ways to avoid recapturing the depreciation. Changing the use of the property-'Changing the property use to a primary residence will void the depreciation. Exercising a' IRS 1031'Like Kind Exchange.' This'allows the deprecation bases to be moved to the new property, thus avoiding paying the recapture pently.' Like kind exchanges are complex and will be the subject or future post dedicated to the subject. Inheriting a property.' Properties left as inheritance not only avoid the recapture requirements, the depreciation is stepped up to the current value of the structures. 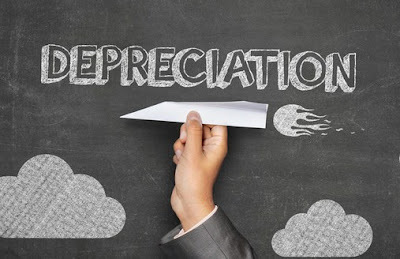 The decision to depreciation a property is generally considered a good decision and a absolute'if you think your investment will fall into one of the three'categories listed above.' This is truly one of the hidden gems of investment properties and considers a serious look.' As always, tax laws are complex and'always changing,' you should discuss in detail with a CPA depreciation'benefits prior to purchasing a property.